These all-you-can eat buffet style restaurants around Yorkshire offer a great selection of tasty dishes - ideal for discovering new flavours and putting those hunger pangs to rest. Offering a never-ending array of dishes from across the globe, this buffet restaurant has something to cater for every taste bud, including teppanyaki, continental and Asian cuisine, and the most delectable selection of desserts. If you are a fan of Chinese food, Crown Buffet has you well catered for with a huge buffet menu to enjoy, comprising everything from grilled meat and curry dishes, to chow mein, fried rice and chef specialities. 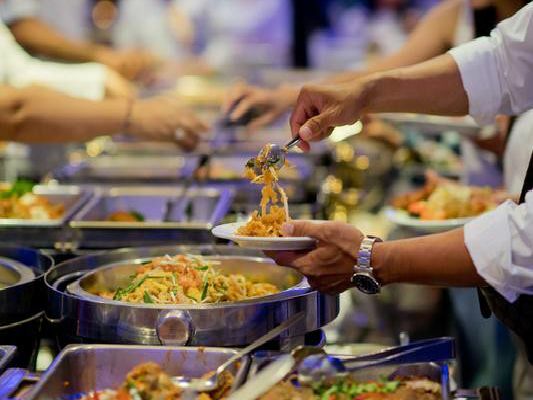 Serving a buffet every Sunday and Monday, diners can tuck into a variety of flavoursome Indian cuisine. Comprising three courses, dishes include aloo pakora, peshwari kebabs, chicken sindhi korma and assorted desserts. Estabulo honours the Brazilian Gaucho's traditional method of cooking, serving up juicy cuts of meats which are skewered and cooked slowly on open flames. Brought to you straight from the grill, you can eat as much as you like.